The new PenFed Pathfinder Rewards American Express® Card offers unprecedented perks for a no-annual-fee rewards card. When you consider the $100 annual travel reimbursement and the Global Entry or TSA Pre✓® benefit every five years, PenFed is basically going to pay you to use the card. And that's before we even discuss the rewards-earning opportunities that could be as high as four points per $1 spent. Combining the best attributes of a travel card with the best attributes of a rewards card, the PenFed Pathfinder Rewards American Express® Card rewards you on purchases both big and small. Whether it's a gracious four points (for members of the military as well as Access America Checking account holders) or three points (for everyone else) for all travel purchases (including airline tickets, hotel stays, taxis, tolls, etc) or a still respectable 1.5 points for all other purchases, the PenFed Pathfinder Rewards American Express® Card helps you to earn points fast. Plus, the 25,000 bonus points you'll earn after spending at least $2,500 with the card within the first 90 days will give you a nice boost towards point redemption, which can be used on anything from airline tickets to gift cards. Basically, the card offers superb opportunities to earn points on travel and everydaypurchases, the freedom to redeem your points how you want (with no caps or limits on rewards), travel reimbursements generally reserved for cards with sky-high annual fees, plus an exceptionally low APR. And, the Pentagon Federal Credit Union is easy to join even if you aren't and have never been a member of the military or worked for the government. More on membership below. Enjoy perks usually reserved for cards with sky-high annual fees, including an annual travel reimbursement and Global Entry/TSA Pre✓® application fee reimbursement. The travel category where you'll earn three of four points per $1 spent is broad. You'll earn big points for your flights as well as your regular commuter bus or train tickets. Earn 25,000 bonus points after you spend $2,500 in the first 90 days. You will need to join PenFed Credit Union to take advantage of this card and, if you want the highest possible rewards, you'll need to be a member of the military or open a checking account with the credit union. If you are a member of the military, or an Access America Checking account holder, the four points you'll earn on travel purchases is huge. And even if you're not, three points for everyone else is still a higher earn rate than even travel rewards cards with annual fees in the $450 range. PenFed Pathfinder Rewards American Express® Card cardholders can quickly rack up points close to home since the broad definition of "travel" includes everything from commuter transportation and ride-sharing purchases to airfare and hotel stays. Knowing you're earning bonus rewards toward your next getaway every time you take the bus into work just might make the Monday to Friday grind a bit more bearable. Let's say you maintain an Access America Checking account with PenFed, so you earn four points on your travel purchases. Now, if you spend $1,200 a month on travel (remember, "travel" includes everyday expenses like bus and train tickets, tolls and taxi/ride-sharing fares in addition to standard airfare and hotel stays) and $2,500 a month on other expenses (3,750 points), you would earn 8,550 points a month, totaling 102,600 points annually (or 88,200 annually for standard cardholders). Add in the 25,000 point signup bonus, and with those numbers, you'll have earned 127,600 (or 113,200) in your first year, just for making purchases you'd be making anyway. Those points could prove very useful, especially if you have a big trip or some other sort of hefty expense coming up for which you'd like to offset the cost. In addition to the huge points-earning potential, we like that the PenFed Pathfinder Rewards American Express® Card also offers a number of great travel and retail benefits, such as roadside assistance and travel and emergency assistance, as well as trip cancellation and interruption protection. Knowing you're earning points on your trip when using your card is great, but knowing you're protected on that trip thanks to your card is even better. Plus, no annual fees and no foreign transaction fees certainly don't hurt! While military members and Access America Checking account holders will benefit greatly with four points earned for all travel purchases, those who aren't in the military or who are not Access America Checking account holders might not be as thrilled with a reduced three-point earning rate, especially as there are other cards on the market with similar offers (though, theothers generally charge an annual fee). Furthermore, to be eligible for the PenFed Pathfinder Rewards American Express® Card, you must be a PenFed Credit Union member; however, membership eligibility is available through a wide range of employment, association membership or volunteerism opportunities so don't write this card off yet. You are an active or retired member of the United States Military or Uniformed Services. You are an employee of a qualifying organization such as Argon Engineering, Armed Forces Benefit Association, or the Enterprise Information Services. You belong to or volunteer with certain associations or organizations such as the American Red Cross (donating blood qualifies you for membership! ), The Marine Corps League or the US Coast Guard Auxiliary. You are an employee of the United States government, including the National Security Council, DHS, or the Department of Homeland Security. You are the relative or housemate of someone who is eligible. You live or work at an eligible location, such as Fort Hood Texas, Fort Myer Virginia, or Fort Shafter Hawaii. For a full list of qualifying military services, associations, organizations, government agencies, and locations, please visit PenFed's website. Not so sure about such a steep annual fee? That's okay. Let's take a look at another no- annual-fee card. What's great about the no-annual-fee Capital One® VentureOne® Rewards Credit Card is that it earns an unlimited 1.25 miles per $1 on every purchase, plus, a nice 20,000-point welcome offer for spending just $1,000 within the first three months of account opening. It's a pretty simple reward structure, but that's what's so nice about it. Instead of worrying about having certain cards to use with certain purchases, the Capital One® VentureOne® Rewards Credit Card is a nice card to have on hand for all your purchases. It might not earn you rewards as quickly as the PenFed Pathfinder Rewards American Express® Card, but it's a nice, stable card to always have on hand, and with regular use, could gain you some serious rewards over time, especially if it's your go to card. Plus, like with the PenFed card, there are no foreign transaction fees, so it's great for travel, and as an added bonus, there's 0 percent intro APR for the first 12 months (then, 14.24% - 24.24% (Variable)). 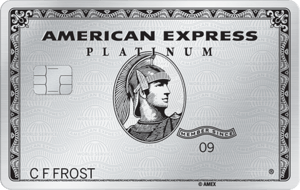 With the Citi Premier℠ Card new users have the possibility of earning double the amount of rewards points as PenFed Pathfinder Rewards American Express® Card holders, however, there is an annual fee ($95, waived for first 12 months) associated with the card, whereas with the PenFed card, there is none. Considering the fact though that Citi's rewards points alone are worth $625 when booked for airfare through Citi's ThankYou® Travel Center, many users don't seem to mind the annual fee so much. Since credit cards aren't all about sign up bonuses though, let's take a look at how these two cards compare otherwise. Earning rewards with both of these cards is easy, but the earning rates vary slightly between the two. While they both earn three points on travel purchases, the PenFed Pathfinder Rewards American Express® Card has the added perk of four points earned on travel purchases that are made through the PenFed Honors Advantage. Another perk is that users of the PenFed card can earn 1.5 points on all other purchases, while Citi cardholders only earn one point for purchases made in the "other" category. However, it should also be noted that in addition to multiple points earned on travel purchases, Citi users can also earn three points on gas purchases, as well as two points on dining and entertainment purchases. So, if it's the rewards structure where your decision lies, you'll need to take your spending habits into consideration to figure out which card might benefit you the most. 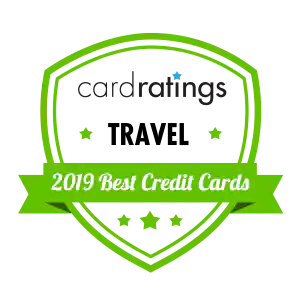 And then lastly, since again, credit cards aren't all about bonuses and rewards, there are a couple of other things we should point out about the two cards. For starters, the PenFed Pathfinder Rewards American Express® Card has a 12 month introductory offer of 0% APR, and then 12.99% to 17.99% Subject to credit approval. * Your APR will vary with the market based on the Prime Rate.. On the other hand, the Citi Premier℠ Card has no introductory offer, and the regular APR is much higher, at 16.74% - 25.74% Variable. And then of course, there's the fact that you must join the PenFed Credit Union to use the PenFed card, and if you want the highest possible rewards, you'll need to be a member of the military or open a checking account with the credit union, whereas you won't have to worry about these type of stipulations with the Citi card. Despite the fact that one card has an annual fee and one doesn't, we think that the PenFed Pathfinder Rewards American Express® Card and Chase Sapphire Reserve® are in a few ways, similar. They both earn at least three points on travel purchases, for instance, (though PenFed cardholders can earn up to four and Chase cardholders only earn points on travel purchases after earning their annual $300 travel statement credit reimbursement) and there are no caps or limits on rewards. They also both offer annual travel reimbursements and Global Entry/TSA Pre✓® fee credits. 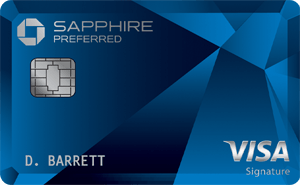 The one big difference people are sure to notice, though, is that Chase Sapphire Reserve® has a hefty annual fee of $450 (plus $75 for each additional user), whereas the PenFed Pathfinder Rewards American Express® Card has no annual fee at all. One thing to keep in mind though, is that even though Chase Sapphire Reserve® has such a high annual fee, it does have many favorable perks to help outweigh this cost. For starters, the welcome bonus is huge – double the size of the PenFed Pathfinder Rewards American Express® Card's bonus in fact at 50,000 Chase Ultimate Rewards® points, which when redeemed for travel through Chase Ultimate Rewards®, are worth $750. The bonus alone is almost enough to cancel out two years worth of credit card fees, though it does require you to spend $4,000 in the first three months. Additionally, Chase Sapphire Reserve® cardholders receive a $300 statement credit each year to cover travel expenses such as airline tickets and hotels versus PenFed's $100 annual travel fund benefit. Furthermore, in addition to the three points earned on travel purchases (made after earning the $300 reimbursement each year), Chase Sapphire Reserve® members have an additional chance to earn three points when they use their card for dining purchases; however, outside of travel and dining, only one point per $1 will be earned, compared to the PenFed Pathfinder Rewards American Express® Card's 1.5. It should also be noted that with Chase Sapphire Reserve®, users will get 50 percent more value when redeeming points for airfare, hotels, car rentals and cruises through Chase Ultimate Rewards®, hence, 50,000 points equaling $750. So do the cards compare apples to apples? Not exactly. Still, even with Chase's annual fee, thanks to the other card parks, we think that as far as rewards go, they come pretty close. You'll just have to decide if that major annual fee is worth it to you. Who Should Get the PenFed Pathfinder Rewards American Express® Card? The PenFed Pathfinder Rewards American Express® Card is a surprisingly good no-annual-feecard option for members of the military or for Access America Checking account holders, in particular, as the card earns a whopping four points for every $1 spent on travel purchases. And even if you're not a military member or an Access America Checking account holder, with three points earned on travel – even travel on commuter transportation –, and 1.5 points on everything else, we still think the PenFed Pathfinder Rewards American Express® Card is a great card for those looking to easily accumulate a lot of points. Consider the points-earning opportunities along with the annual travel reimbursement of $100 and Global Entry/TSA Pre✓® fee credit and you have yourself a truly unique no-annual-fee rewards card.